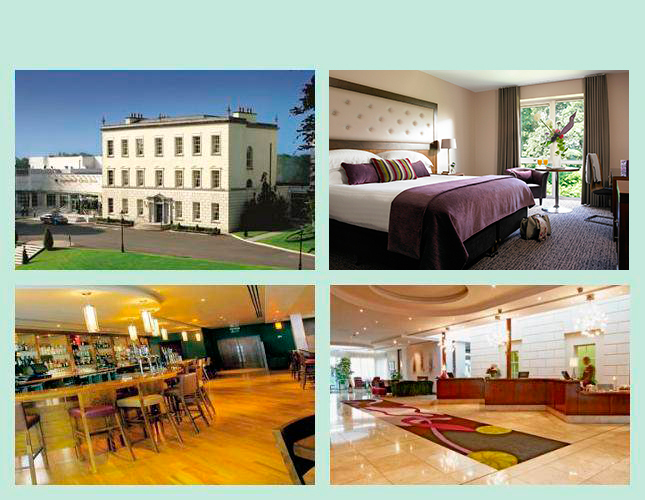 Your Irish trip starts at 2:00 pm when you meet your tour director at your Dublin hotel. Take a short ride to historic Dalkey Village, now an upmarket suburb for a gentle guided walk through the village. Visit the imposing Dalkey Castle and see the newly re-furbished Writers’ Gallery. In the evening meet your tour director over a welcome drink to discuss your trip and he will help you choose a restaurant to dine independently. 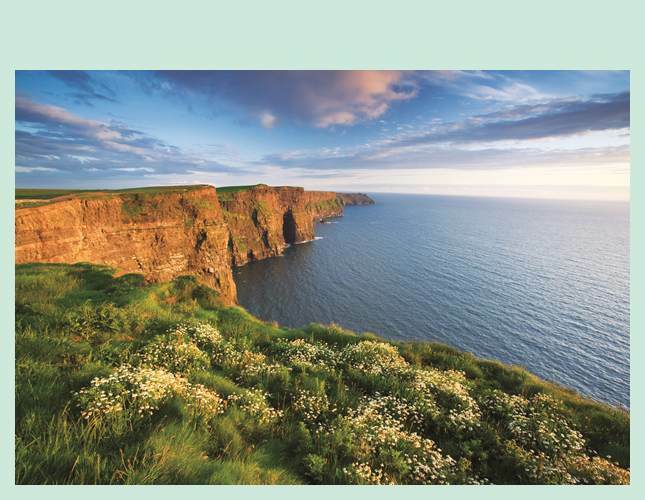 Take a guided tour of Dublin to see the most prominent buildings and memorials. View rows of elegant Georgian townhouses with brightly painted doors. 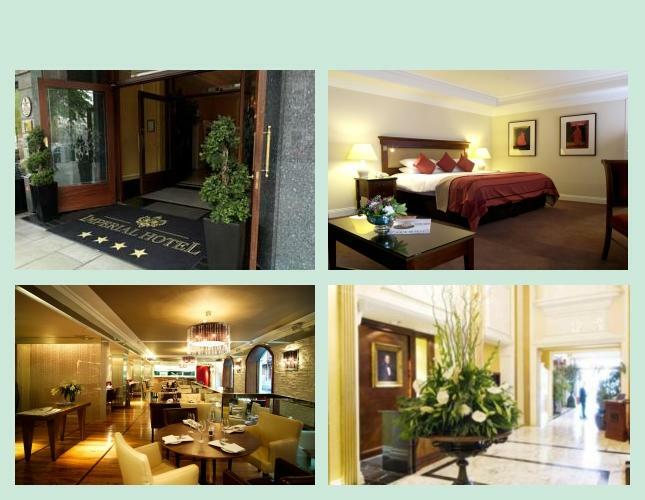 Drive past the Bank of Ireland and General Post Office as well as the modern financial district. Join a student guide on a brief walk through Trinity College’s campus to view the Book of Kells. The afternoon is free so that you may use your independent open-top bus tour voucher with a visit to Guinness or General Post Office. 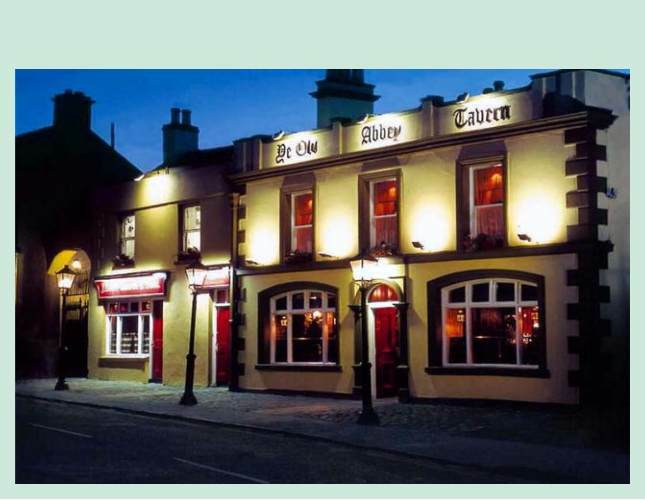 Drive to the Abbey Tavern in Howth for dinner followed by a great show with Irish music. Visit Strokestown Park House in County Roscommon. Tour the furnished 18th century mansion and the Famine Museum, which explains conditions during the 1840’s Great Irish Famine. Stroll through the four-acre walled Victorian garden with its long herbaceous border. Drive to Galway city and take a walking tour with a local guide to explore the narrow medieval streets. See the Claddagh, once a fishing village, where the famous ring originated. Check in to your hotel in time to relax before dinner. 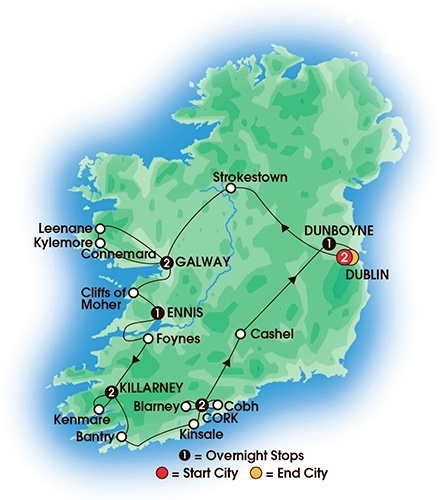 Near Galway embark on the Corrib Princess for a cruise on Lough Corrib to enjoy the scenery and sip an Irish coffee. Then drive through Connemara to admire granite hills, sparkling lakes and peat bogs. Drive to Kylemore Abbey to tour elegant rooms in the mansion and the charming church, set beside a tranquil lake. Enjoy a casual lunch and savor more views of Connemara before returning to Galway where the evening is free to explore the city on your own. Cross the wide River Shannon Estuary on a short ferry ride and drive along the river shore to Foynes. Visit the Foynes Flying Boat Museum, which recalls the early days of air travel, during the 1930’s and early 1940’s, when Pan Am Clippers used to land on the water. Walk through a replica of a Clipper and see memorabilia in the museum. Stop in Listowel for a look around and lunch on your own before heading to your hotel in Killarney, located a few miles outside the town in glorious scenery. 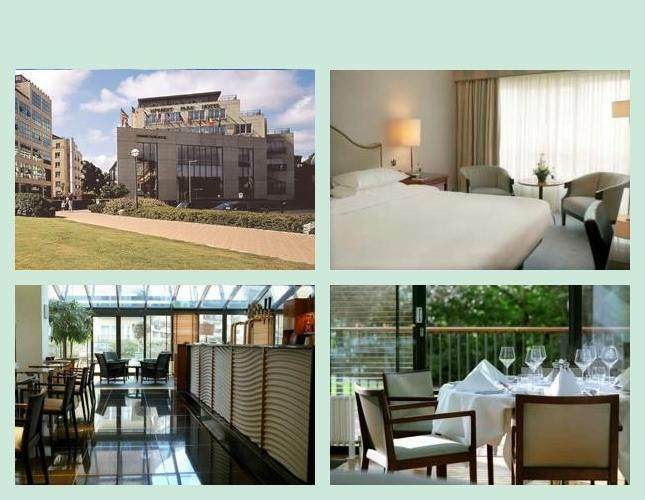 Dine in Killeen House Restaurant, renowned for a warm welcome and excellent food. Drive to the delightful town of Kenmare where traditional buildings are brightly painted. 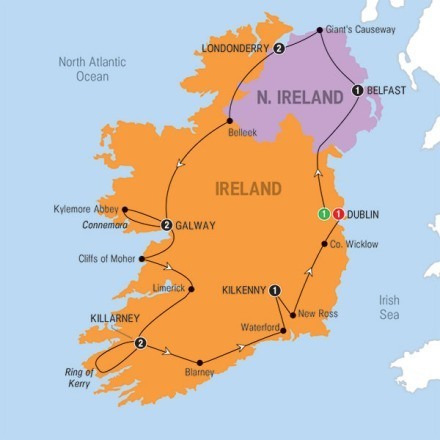 Join the Ring of Kerry route at Moll’s Gap for great views of mountains and valleys. Drive to the Gap of Dunloe Industries for an opportunity to shop, have some lunch or stroll through the gardens. Take a traditional horse-drawn jaunting car ride through the Gap of Dunloe to admire scenery at a gentle pace and hear local tales from the driver. 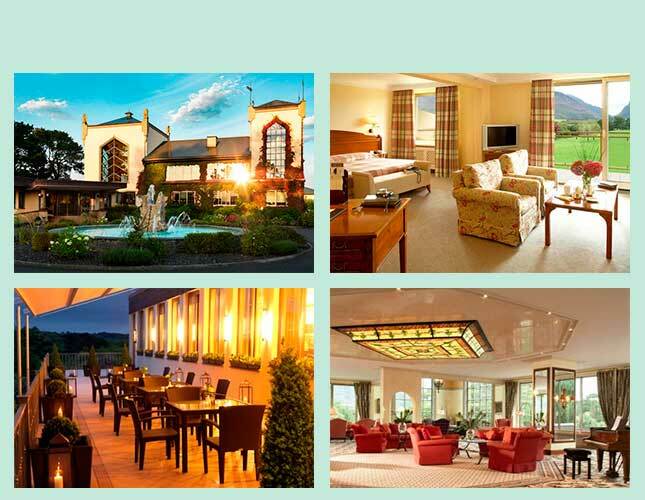 Enjoy spectacular views of mountains and lakes for which Killarney is famous. Return to your hotel for free time before dinner. Today travel across the Healy Pass on the Beara Peninsula to discover glorious coastal views and quaint villages of County Cork. 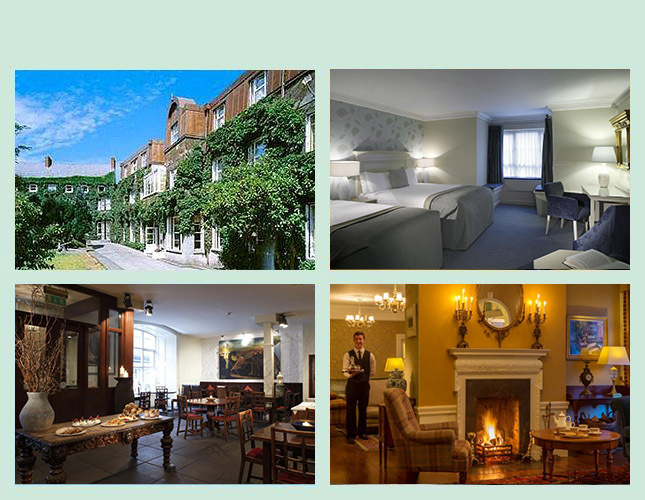 Visit Bantry House, a charming, privately-owned mansion dating to the 1760’s. It is set in a glorious coastal location with magnificent Italian gardens and an eclectic collection of antiques and artefacts. Continue your drive along the coast to the town of Clonakilty before heading to Kinsale, renowned for medieval sea trade, fishing and yachting. Join a local guide to visit the huge Charles Fort and take a walking tour through the town before driving to nearby Cork city. Start the day with a short walking tour through central Cork before taking a short drive to Cobh to embark on a cruise of Cork Harbour. View places associated with RMS Titanic; see the spire of St. Coleman’s Cathedral overlooking the town and pass Haulbowline, home of the Irish Naval Service. 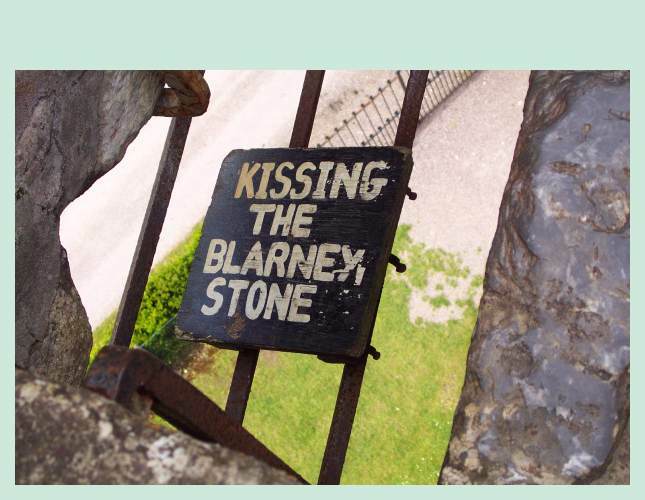 Drive to Blarney Castle to kiss the famous stone. If you don’t fancy climbing to the top of the castle, take a stroll through the peaceful parklands and admire the colorful gardens. Also visit the Blarney Woollen Mills where quality Irish-made products are gathered under one roof. Drive north to visit the stately Rock of Cashel, a limestone outcrop containing church ruins that date back to the 12th century. See the huge skeleton of the cathedral as well as the tiny Cormac’s Chapel. Take a look around the town of Cashel before driving to your luxurious castle hotel, located on the outskirts of Dublin. This property blends the elegant old mansion with state-of-the-art designed guest rooms. Enjoy a farewell dinner with your travel companions. Your tour ends after breakfast. 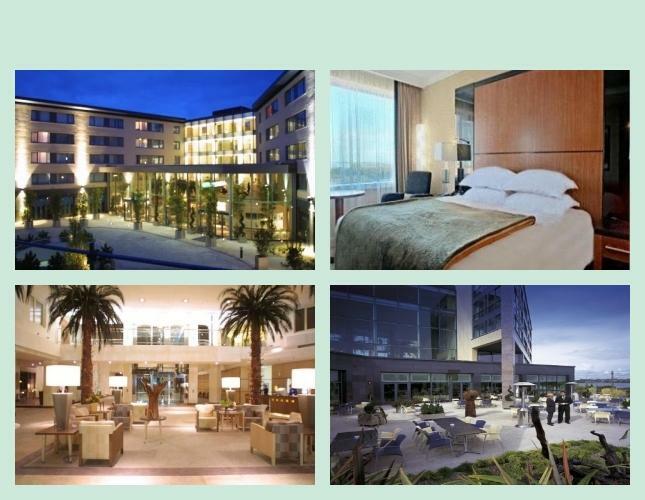 The hotel is about 15 miles from either Dublin Airport or Dublin city center.